“Our Signature” two bedroom chalet. Exquisite hand crafted log cabin. Stunningly appointed Great room with Cobblestone wood fireplace. One bedroom with King and one bedroom with two Queens. Two bathrooms each with jacuzzi tub and shower. Lavish kitchen featuring Heartland’s Vintage Collection, a wet bar and dining area. Washer/Dryer. Grand Porch with amazing Lakeviews. *Cabin Rates based on up to 4 guests. **Weekends require a three night minimum. Sat. - Sat. 3 Night Min. 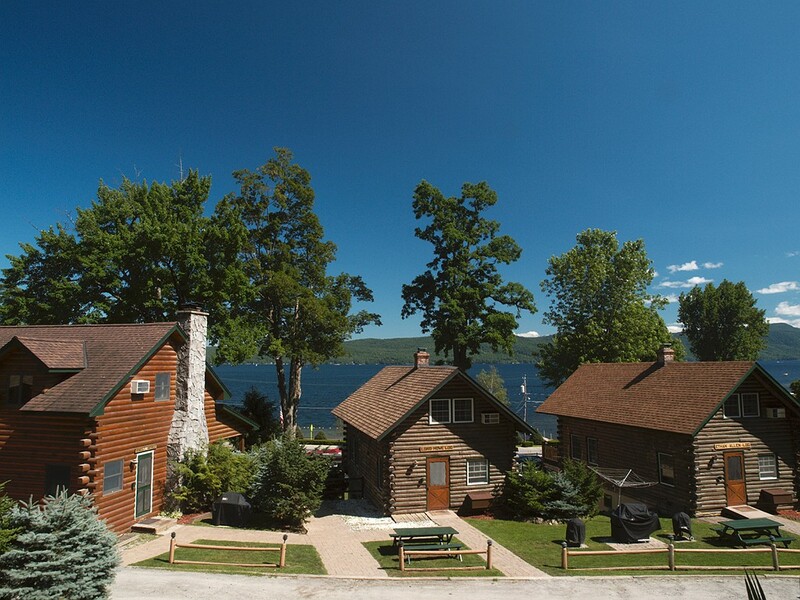 Treat yourself to a Spring getaway and enjoy the natural beauty, cozy cabins with jetted tubs and roaring fireplaces at Trout House Village Resort. Check out our Spring Super Saver Special! Great deals during the Super Saver rate periods through May 16, 2019! Call 1-800-368-6088 or book online. 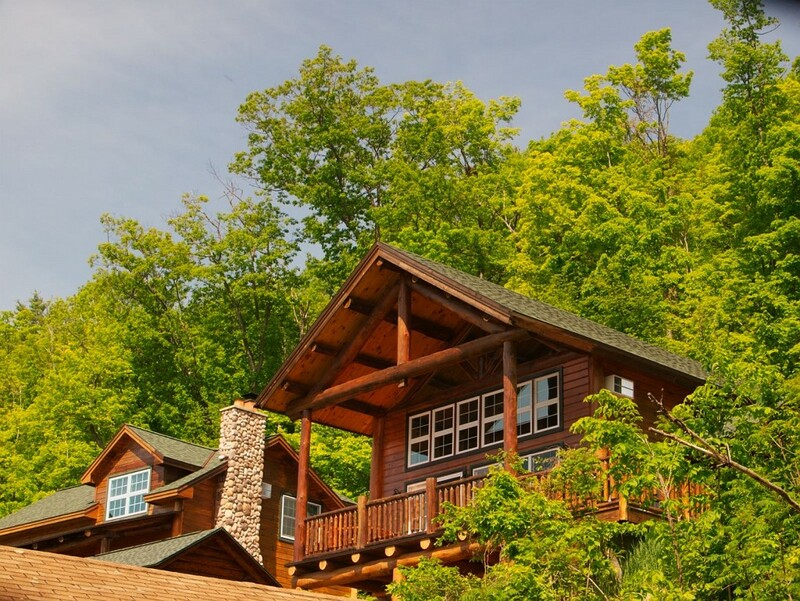 Experience the ultimate in Adirondack luxury in one of our amazing log cabin chalets for a romantic getaway. A kindling fireplace and an indulgent jet tub await your arrival.